Hamilton® CapTel® for Business, Interconnected by Tenacity™ is available to individuals who experience hearing loss and have difficulty hearing on the phone while in the workplace. 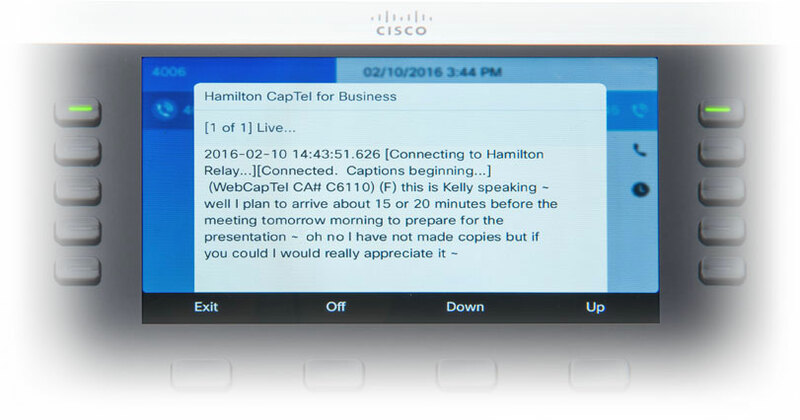 Hamilton CapTel displays captions of what’s being said on the screen of a Cisco® phone, allowing clarity and confidence on every business call. All that’s required is a Cisco phone, the Hamilton CapTel for Business application and a Hamilton CapTel for Business account. Follow the steps below to learn more about Hamilton CapTel for Business, Interconnected by Tenacity. First, contact your Telecom Administrator to determine if Hamilton CapTel for Business, Interconnected by Tenacity is the right fit for your business environment. Telecom Administrators can learn more on how to download and install the application on your Cisco phone system, managed through our partner, Tenacity. Once your Telecom Administrator implements the technical requirements on your Cisco phone system, you must register for a Hamilton CapTel business account. This simple, one-time registration process will allow you to establish your user account, which will be used to log into the Hamilton CapTel application on your Cisco phone. Once installed, open the application and simply log in with your User ID Number and PIN. Now, you’re ready to make and receive calls with captions! Already a Hamilton CapTel for Business Customer? Business professionals using Hamilton CapTel for Business experience a familiar, natural flow of conversation – with the added clarity of word-for-word captions – even on conference calls! 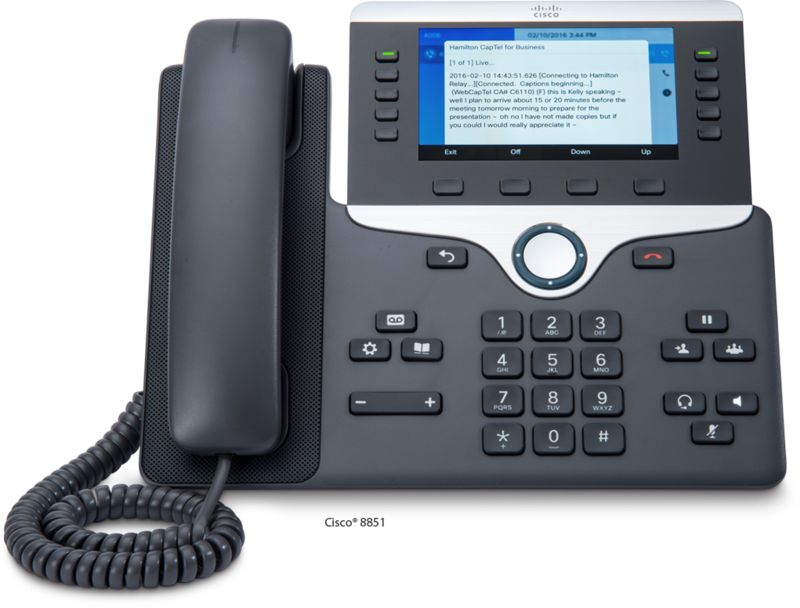 To learn more about how Hamilton CapTel works with your Cisco phone, download the user guide. To update your Hamilton CapTel user account, log in to manage your profile.